IG report on Fast And Furious directly implicated the White House, and open wonders why more people aren’t being prosecuted for malfeasance. And, unlike others on the Chicago Law School faculty who published numerous articles in legal journals, Obama’s byline did not appear in a single legal journal while he taught there. Obama wasn’t a professor; he was a lecturer, a position that the Chicago Law School said in 2008 “signifies adjunct status.” He was elevated to a “senior lecturer” in 1996, the year he was first elected to the Illinois Senate in Springfield. The United States of Obama? 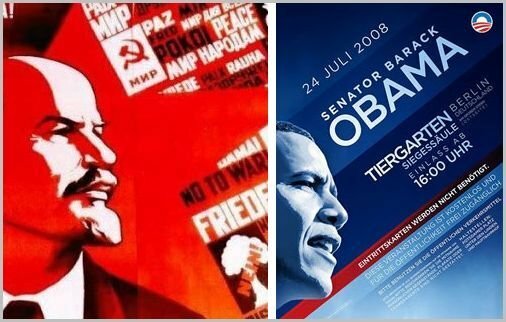 There is a disturbing trends in Obama’s cult of personality, a trend started as far back as his first campaign for President. His use of the ol’ Red, White and Blue to evoke a sense patriotism along with personal logo. Unfortunately, more and more, his campaign has felt free to adopt imagery and slogan clearly copied wholesale from many of histories failed Marxist experiments. I honestly have to wonder if he gets re-elected, if we can expect a bid to have his face on stamps and currency before the year is out. He clearly sees himself as this visionary, the revolutionary who will right the wrongs of capitalist excesses….as his forebearers attempted to do. Thanks, but no thanks, there B.O. I’ve found that there is so much going on in the world today, about which my own loud-mouth self will simply not shut up, and spamming my Facebook friends and relatives with partisan hooey may not always be the best course of action. While I cannot guarantee how often I will be able to post anything, given the hurricane of activity my life is, and the festering pile of steaming excrement it may become shortly, I am going to fire this thing back up. Hopefully I can regain a few of the readers I have so callously shunned over the last however the hell long it’s been; but regardless, there’s just too much angsty froth boiling up within me, and I’ve just gots to gives it some release. So, there ya go. For what it’s worth.